The seventh week of Fortnite Season 8 Challenges is live on PC, PlayStation 4, and Xbox One. Get in there and earn this week’s Battle Stars and XP! 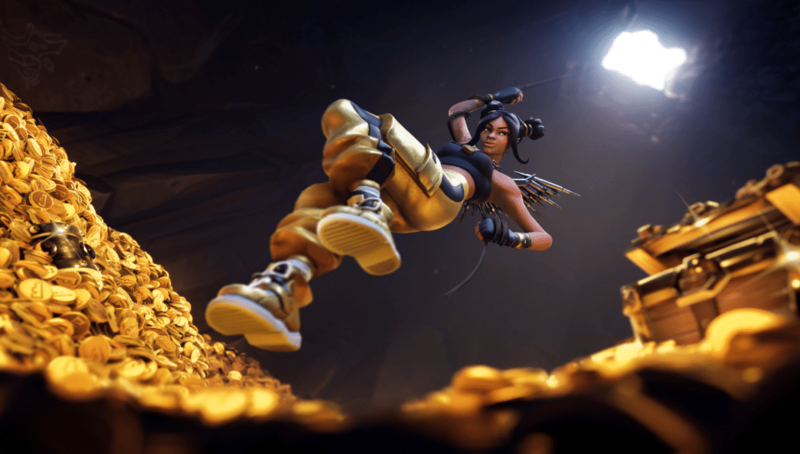 As a reminder, those who completed the Fortnite Season 7 Overtime Challenges now have the Season 8 Battle Pass for free. These players now have an increased number of Challenges, Rewards, and benefits. Complete any 4 Challenges to earn the 7,000 XP Reward Item. If you are looking to complete the Challenges as soon as possible it’s recommended to complete your once-per-game Challenges and then die in-game so that you can quickly get on to the next game and begin again. Once you have completed all Season 8 Week 7 Challenges, don’t forget to collect your free Battle Star which can be found near Snobby Shores. 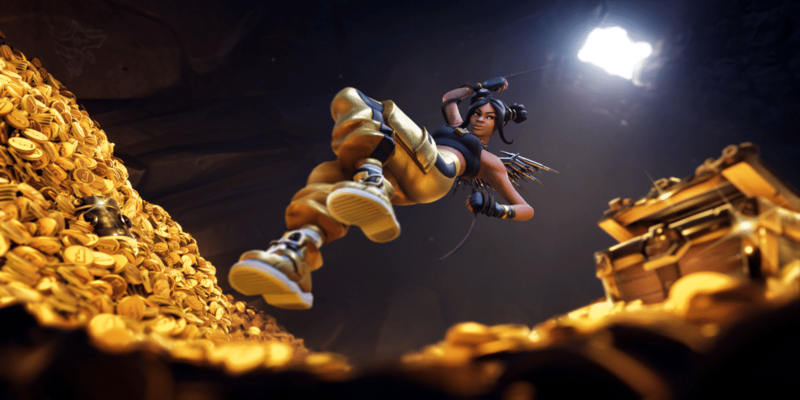 Completion of all Season 8 Week 7 Challenges will reward you with the Discovery #7 Loading Screen, which can be seen below. 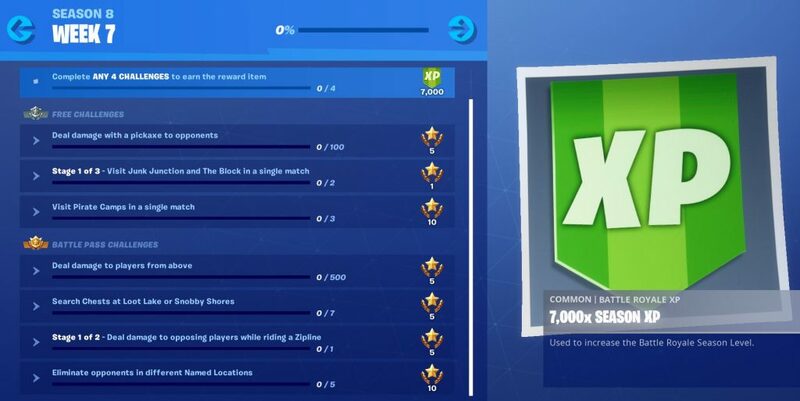 It’s expected that completion of 9 weeks worth of Season 8 Challenges will unlock the Discovery skin! However, it should be noted that this is not confirmed at the time of writing. Stay tuned to @FortniteINTEL / FortniteINTEL.com for full Fortnite Season 8 coverage!